Field Technician- Motor vehicle Inspector Paying £25k & Vehicle Covering: M4 Corridor The Role An exciting opportunity for an experienced motor vehicle Inspector to join a visionary, global technology company, who are looking to revolutionise the way cars are bought and sold via the internet. Their online platform connects buyers and sellers, in an organized, efficient and safe environment. Sellers list their cars, and once they pass our clients inspection, they are made available to buyers. An exciting opportunity for an experienced motor vehicle Inspector to join a visionary, global technology company, who are looking to revolutionise the way cars are bought and sold via the internet. Our client are one of the worlds' first fully transactional, end-to-end online car marketplace. Their online platform connects buyers and sellers, in an organized, efficient and safe environment. Sellers list their cars, and once they pass our clients comprehensive inspection, they are made available to buyers. Our client have already raised substantial funds from leading international tech investors and are on track for rapid nationwide expansion. If you think you got what it takes to become an agent of change and envision yourself involved in a new-age way of buying and selling cars, this is for you! You`ll be the initial face of the company and one of the vehicle inspectors, will be the first person our clients Sellers meet when you come to get to know their car, and the last person their Buyers shake hands with when you come to deliver. This is one of the initial positions and the pending field based vehicle inspection teams will all be recruited to work underneath these initial positions. You`ll be a trustworthy automotive technician or vehicle inspector, ideally with field based or roadside experience who could build a car from the ground up and believes in nothing but top-quality workmanship. You`ll know a ton about cars, and love to talk about them and will have the communication skills to explain to the customers what they need to know in a way they can understand. The Car Inspectors have boundless energy and work tirelessly to ensure customers get nothing but the best. You`ll be meticulous and nothing will get by you and you`ll choose to treat the customers, and their cars, with great care and provide a top level customer experience. If you feel like you might be a match, you`ll have the chance to join the team that will revolutionize the car buying and selling experience and bring it to the digital era. * Conduct our 100-point Inspection, ensuring the quality and reliability of the Seller's vehicles. * Precisely document the state of the vehicles through our proprietary standardised reports. * Provide an exceptional experience for our customers. * Effectively communicate with other team members, businesses, and partners. * Be analytical. Continuously improve our processes through feedback and suggestions. * Valid driver's license and a safe driving record. * Passion for advancement in automotive, innovation, and technology. * Ability to work in a fast-paced, team environment. 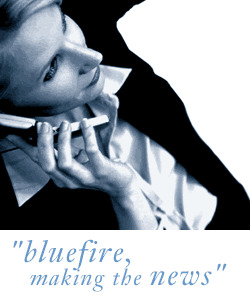 Bluefire Consulting are a recruitment agency working on behalf of our end client.